The rise of Catalan nationalism in recent years results from a combination of historical and immediate factors. Jordi Pujol, a moderate independence leader who governed Catalunya from 1980 to 2003, was highly adept at exploiting Catalan nationalist sentiment to extract more autonomy from Madrid. His successor, Artur Mas, pushed more forcefully for separatism, a policy which chimed with voters who felt abandoned by central government during the recent recession and which helped shore up his fluctuating poll ratings. It’s estimated that about half of those who supported separatist parties in 2015 did not back secession a decade earlier. With the election of a pro-independence majority in the Catalan parliament in 2015, and a new Catalan president, Carles Puigdemont, the prospect of an independence referendum got a lot closer. There are tensions between many traditional Catalan separatists and those more driven by economic marginalisation. On the Catalan national day (the Diada) in 2013, when protestors joined hands to form a human chain across Catalunya, “the parking lots were filled with BMWs and it really looked as if the Catalan bourgeoisie was having a fun day out,” observed one commentator quoted in Raphael Minder’s recent book The Struggle for Catalonia. Yet the presence of conservative forces within Catalan nationalism should not overshadow the sheer popularity of the cause among ordinary people – and not just Catalans. 2016’s Diada in the northern town of Salt, with its 40% migrant population made up of 70 nationalities, saw contingents from the town’s African, Latin American and Asian communities with banners calling for independence in Arabic. The cross-class fiesta atmosphere of such events should not obscure the historic oppression the region has suffered, particular under the Franco dictatorship. His regime unleashed brutal repression in the region and banned the Catalan language, but even today Catalan culture and language are marginalised within the Spanish state. There are only eleven Spanish universities outside Catalunya that offer courses in Catalan – compared to 27 in Germany. 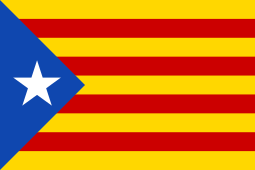 In 2010, Catalunya passed a law requiring foreign film companies to provide their movies in both Castilian and Catalan when released in Catalunya. The Hollywood studios got this ruling overturned at the European Court, leading many Catalans to believe that only statehood would make such a policy possible. Tensions have risen, particularly since 2016 with the formation of a pro-independence government which set the October 1st 2017 date for an independence referendum. The Spanish conservative government of the Partido Popular reacted aggressively, with a smear campaign and pressure to get the six main banks to issue a joint denunciation. In 2017, Catalan politicians received sentences for civil disobedience for the first time in the modern era. They were banned from office for organising an independence vote, the culmination to a long history of Spain’s constitutional court ruling Catalan statutes illegal, including an earlier one to ban bullfighting. As the October 1st referendum approached, tensions between Catalan nationalists and the Spanish state mounted. The regional government said it would immediately take control of Catalan borders if the indyref was successful. The Spanish state government responded by saying the referendum was banned – “an absolutely illegal act” – in the prime minister’s words – and any referendum materials would be seized, including election fliers. Schools were informed too that any involvement by staff in facilitating voting in the referendum in school buildings would result in staff being permanently stripped of their teaching qualifications. After over a million people took to the streets of Barcelona to celebrate the Diada on September 11th, the sixth such annual mobilisation for Catalan statehood, Spanish state prosecutors ordered a criminal investigation into any Catalan mayors – over 700 so far – who plan to stage the referendum. A few days later, more than 700 pro-referendum mayors protested in Barcelona, brandishing their maces. With the approach of the referendum, tension is mounting. The central government seized control of Catalunya’s finances, imperilling the payment of thousands of public employees’ wages. The move was condemned by the region’s vice president as “leading us to administrative collapse.” Then on 20th September, the Civil Guard, under the direction of Spain’s interior ministry, carried out dawn raids on regional government offices, arresting a dozen officials. Pro-independence parties cancelled their activities for the day to organise protests. “It is unacceptable for there to be political prisoners in a European democracy. The Partido Popular leads us to an authoritarian regression that cannot be tolerated,” a spokesperson for the new leftwing party Podemos said. The central government crackdown may help the independence cause. “The attitude of the state is so aggressive that no democrat can remain indifferent,” said Ramon Pique, coordinator of the Catalan National Assembly, a pro-independence citizens group. And the campaign is spreading – on 16th September, 35,000 Basques marched through Bilbao carrying banners saying “We want to decide” – a reference to the strong support for independence in their region too. The left is split, with Podemos supporting the right of Catalunya to exercise self-determination but calling for a no vote. Most Catalans want a referendum to decide the issue, one way or the other, but with the Spanish state ruling the initiative void, it’s likely that many opponents may just stay away rather than vote no, leading to a yes vote by default. Then what? What is The British Labour Party’s position? What about the author of this piece, do you not have an opinion Mike? Your analysis explains the position in Spain precisely, but you dont need to spell it out we know the facts, its what you think that is interesting? do the Catalan’s have the right to self determination? If you dont have an opinion then why take the time to write this article? I am genuinely interested. Is it that you think people dont know the facts? Firstly, not everybody knows all the facts. The Spanish government’s threat to strip teachers of their teaching qualifications – permanently – has not been reported here as far as I know. Secondly, I, along with the vast majority of Catalans,as well as Podemos, beleive they have the right to self-determination. The question is: should they exercise it? That’s up to the Catalans. If the Catalans have the right to self determination why should they not exercise that right? Come on Mike this is like extracting a molar. I know you dont have a vote in their referendum but you must have an opinion. You seem to know a lot about it. Tell me what you think the Catalns should do. Also, they’ll get chucked out of the EU when they go independent, so we should get in there quick to make allies with them and get a trade deal. I think we are all shocked at the reactionary approach put in place by the Right Wing Govt in Spain, literally beating its own citizens up for wanting to vote but I wonder if the separatists want to bounce Catalonia into independence too? Research seems to show how a majority actually don’t want independence and infact in very difficult conditions 38.4% voted for it. The Catalan Government claims a further 750,000 weren’t allowed to vote (which may be plausible) but would it have taken a Yes vote to 51% of the total electorate? I wondered if an on-line vote (with security passwords for individual electors) could have been carried out and then what would the Right Wing Spanish Govt have done – smashed individual computers? So what have both sides to worry about, let there be an election but with the proviso that 51% of the total electorates votes would be needed to carry the day – let democracy decide. A full, decision-making referendum – as the Scots had in 2014 for example – is exactly what the Catalans have been asking for over the past decade. But they’ve consistently been turned down by the central Spanish government. Ooops! I meant let there be a referendum. We need to analyse the forces on both sides and the Catalan Govt is a centre right coalition with a small far left but the same forces are on the other side. The basically Tory Catalan leader in his speech after the referendum in dificult circumanstances gave the game away. He boldly said in previous vote to agree if a referendum should take place 47% voted (but how many for?). As left wing democratic socialists we should be calling for a free and fair referendum. What are the bourgeois forces frightend of? The democratic will of citizens?